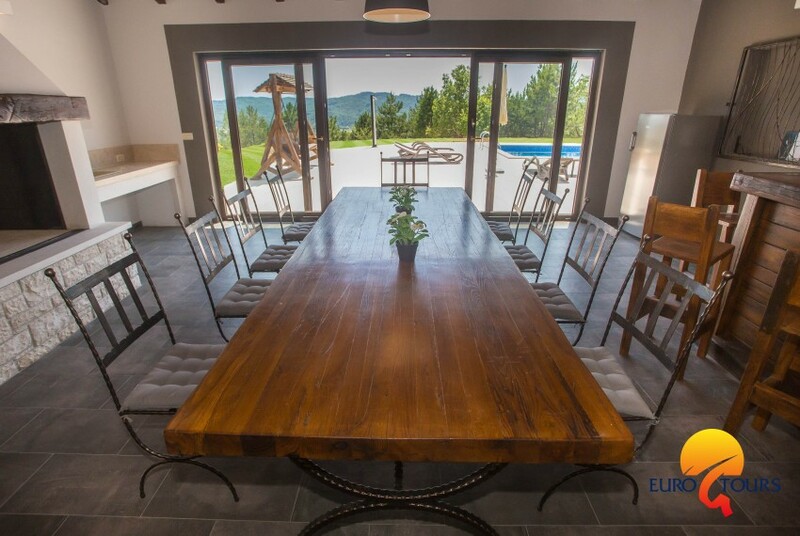 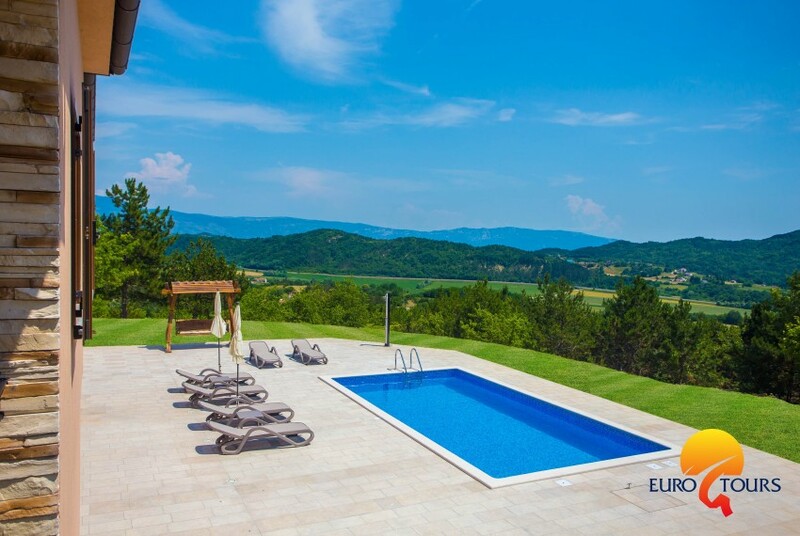 Villa with beautiful views, wellness room and private pool near Pazin. 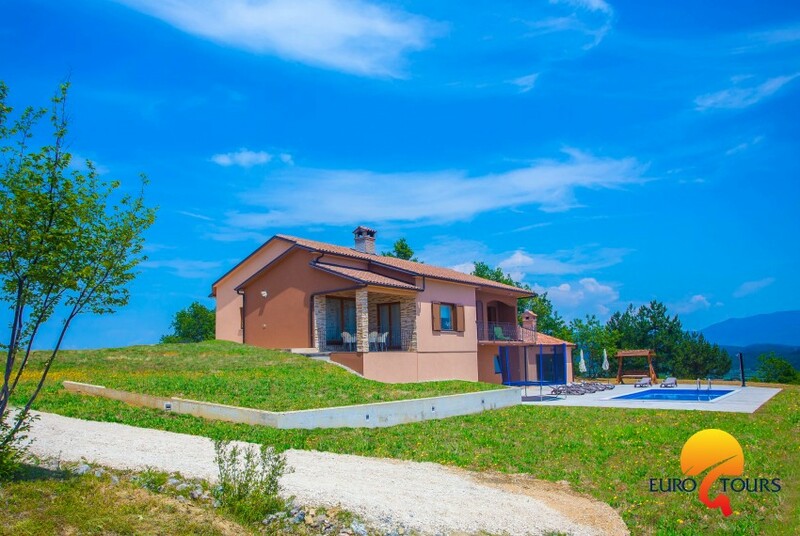 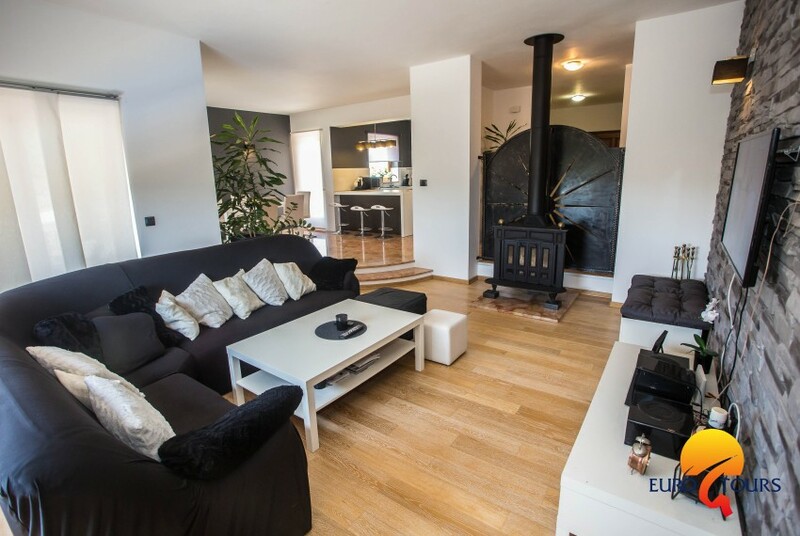 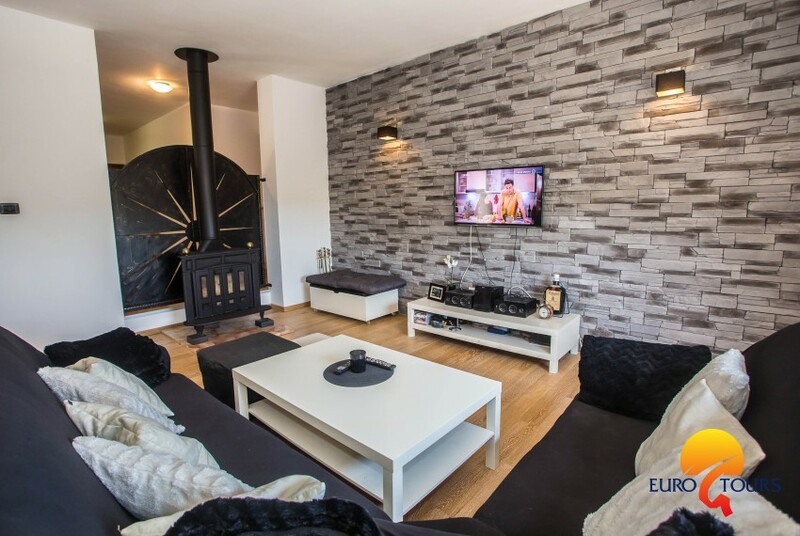 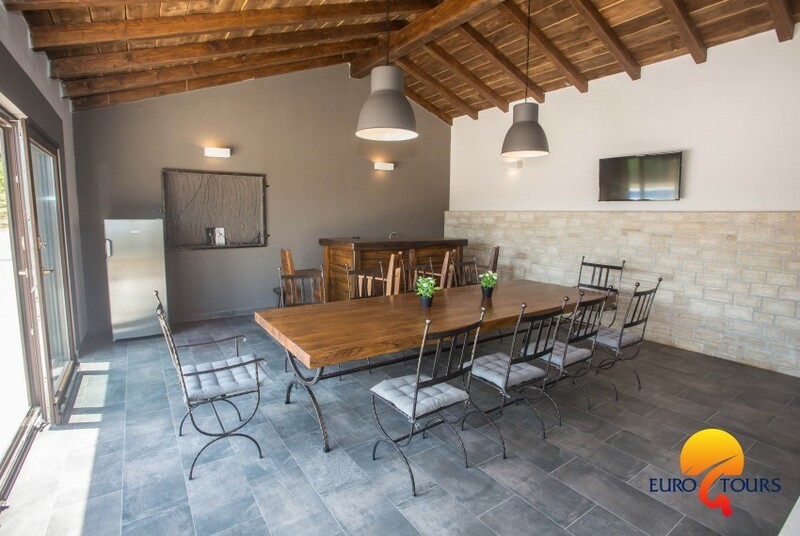 This typical holiday home, a perfect blend of Istrian and modern architecture, sits on a steep cliff in a picturesque interior with stunning countryside views. 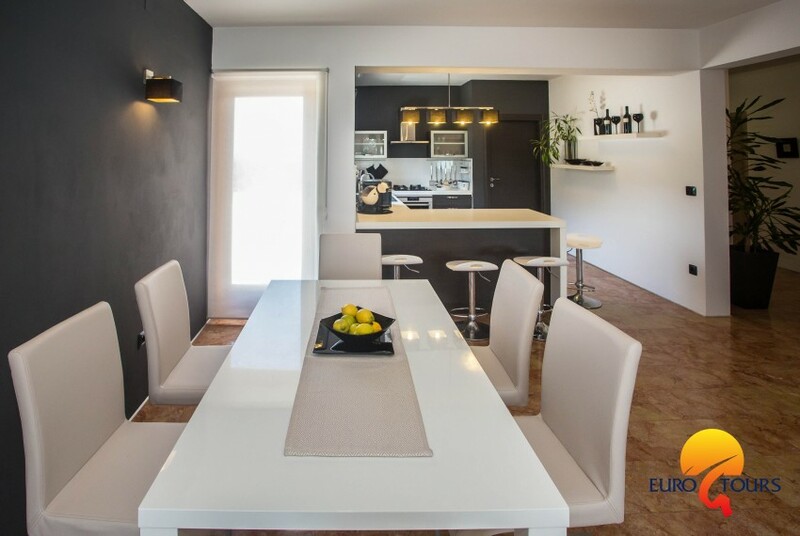 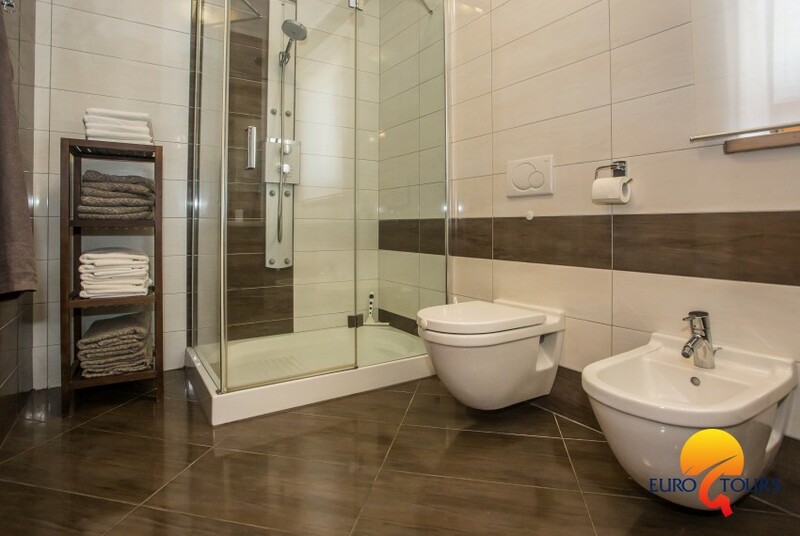  The house is modern and comfortably furnished. 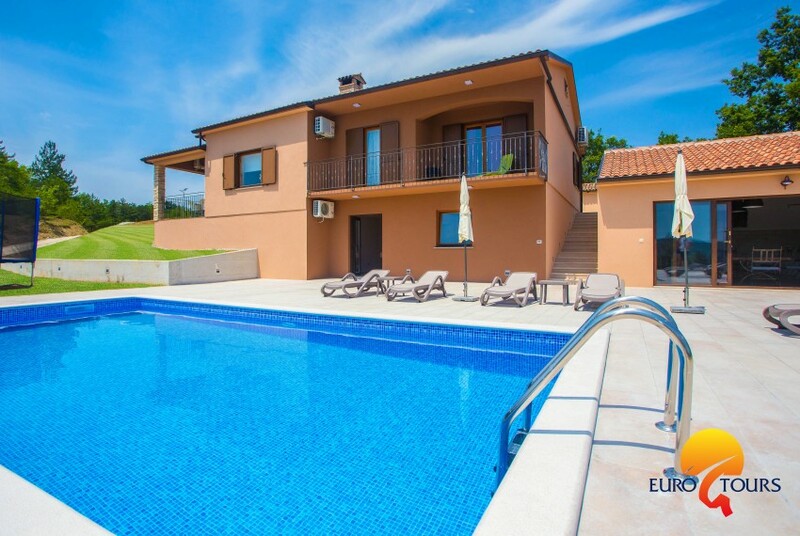 The amasing Villa Mirna with pool is located in a quiet location where you can really relax and unwind. 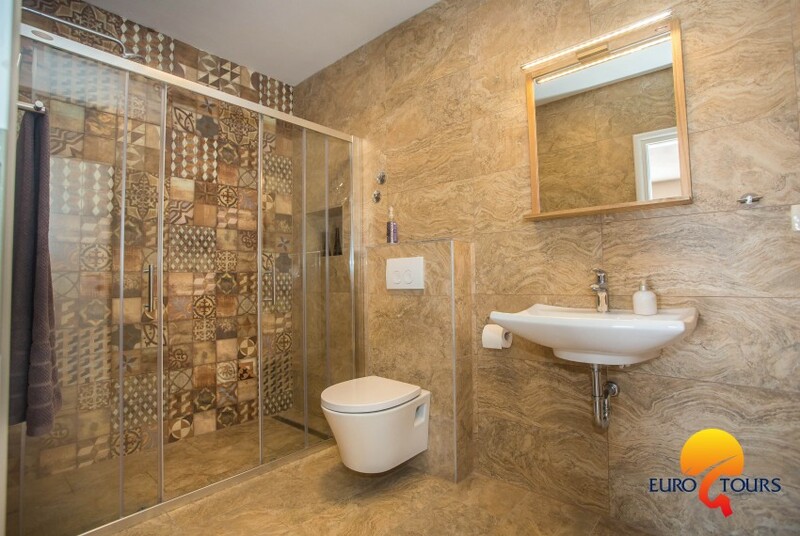 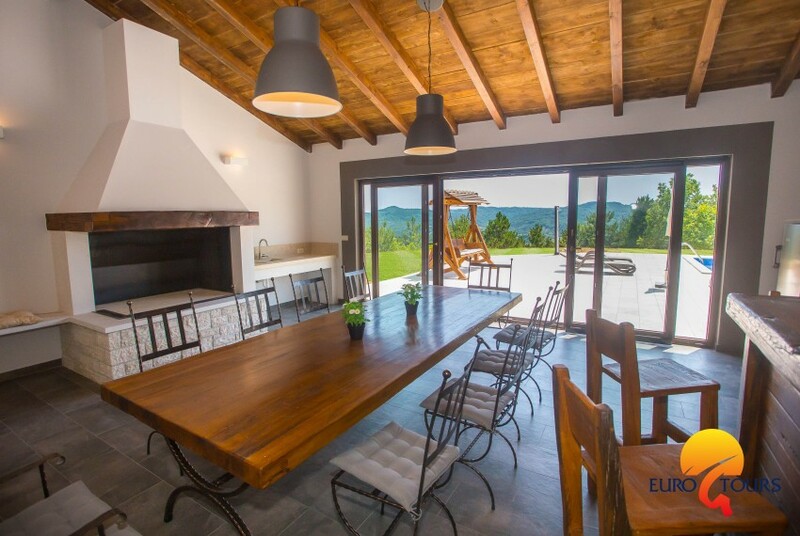 Villa Mirna is a new, beautiful modern and comfortable villa. 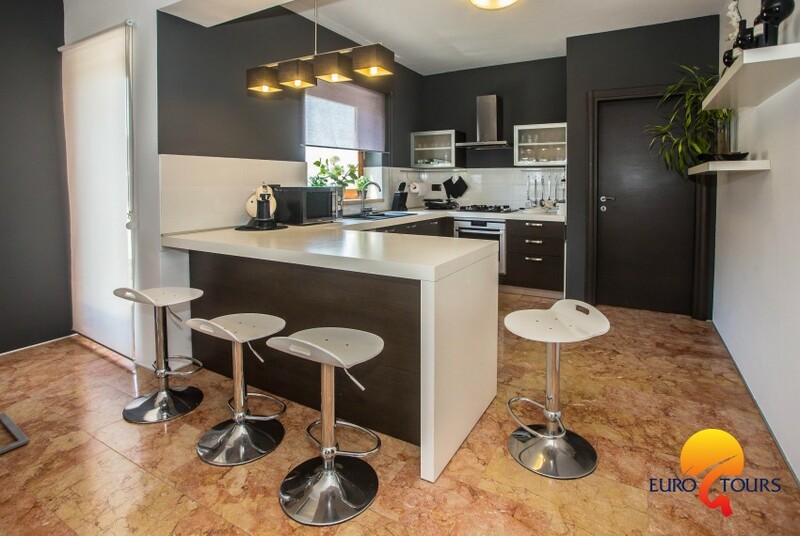 It is equipped with high quality furniture that emphasize modern art. 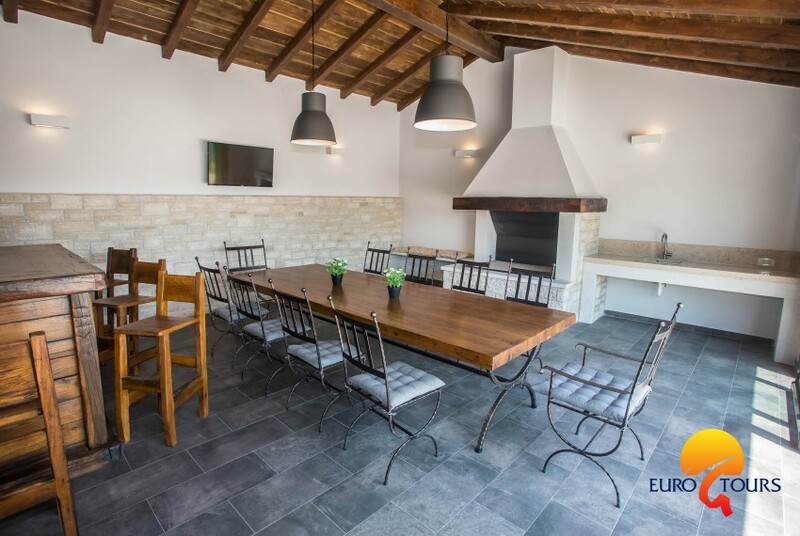 The villa consists of a living room with a view of the crystal-clear swimming pool and the well-kept garden. 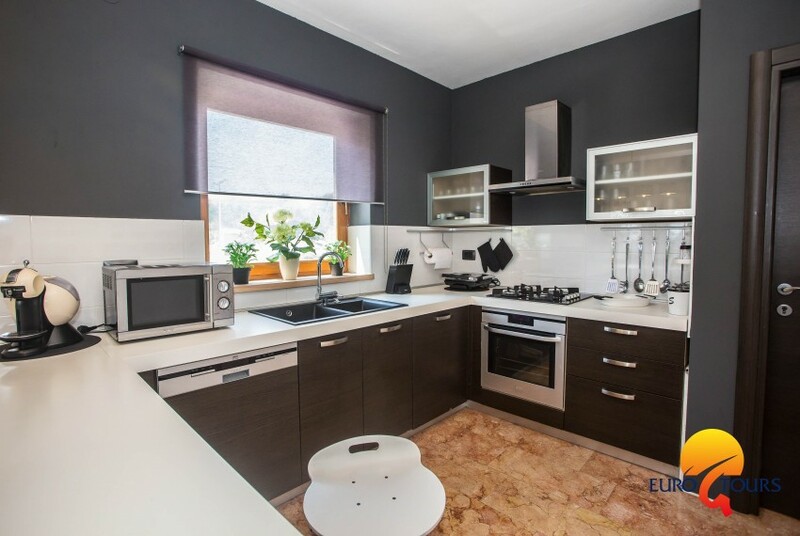 The kitchen is equipped with all appliances (electric stove, oven, microwave, dishwasher). 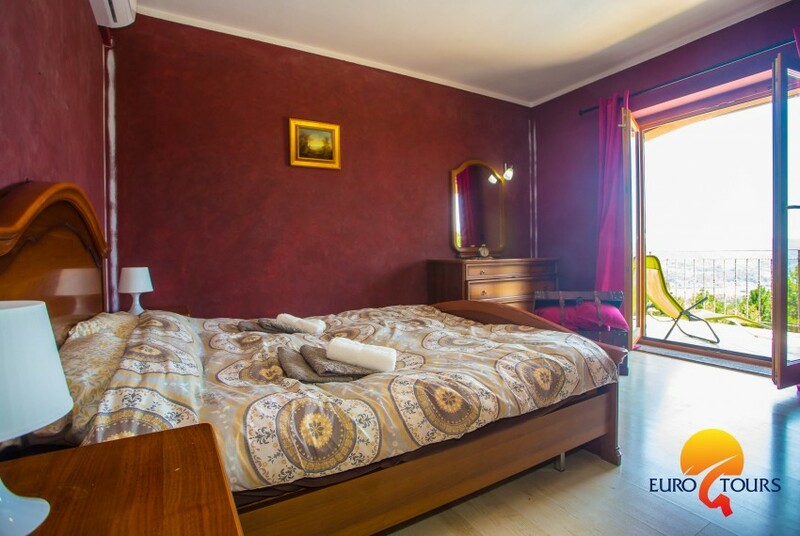 The villa has three bedrooms (two with double bed and one with separate beds) located on the first floor. 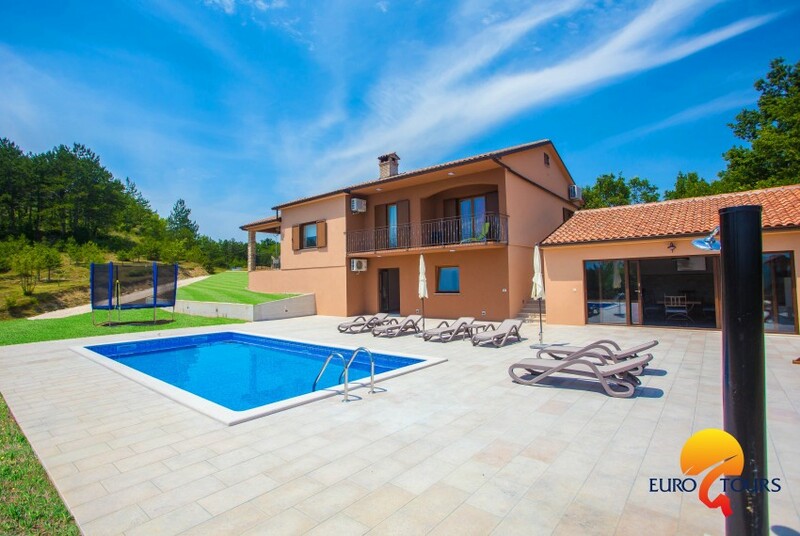 In front of the house is a large swimming pool with outdoor shower and sun loungers, where you can swim (without curious neighbors) and in a beautiful view of the green surroundings. 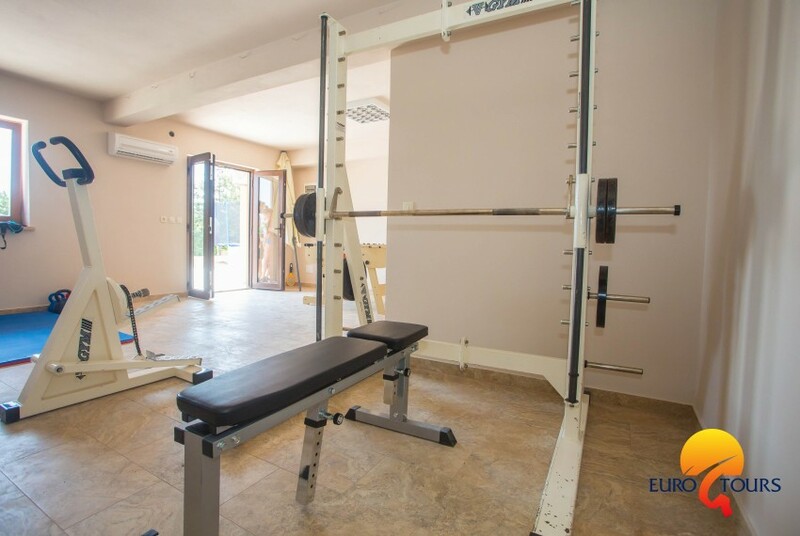 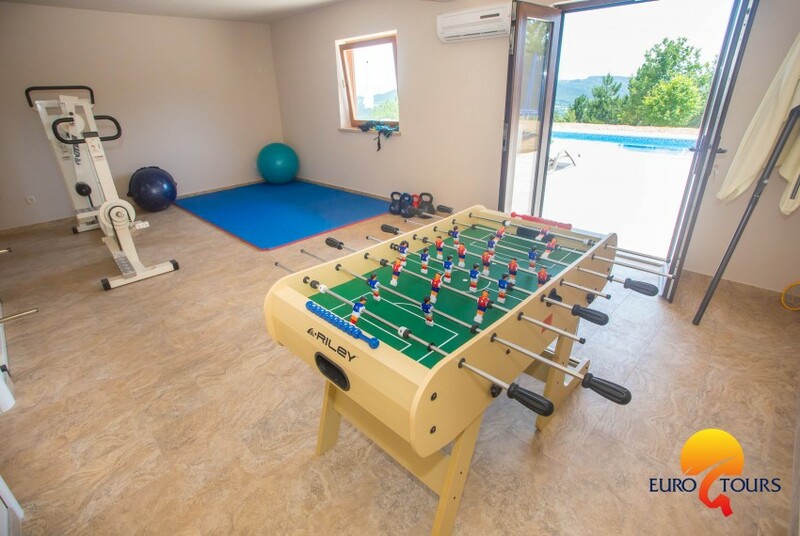 The holiday house Mirna offers you a common tavern with large wooden table and seating set, fireplace, sauna and fitness room. 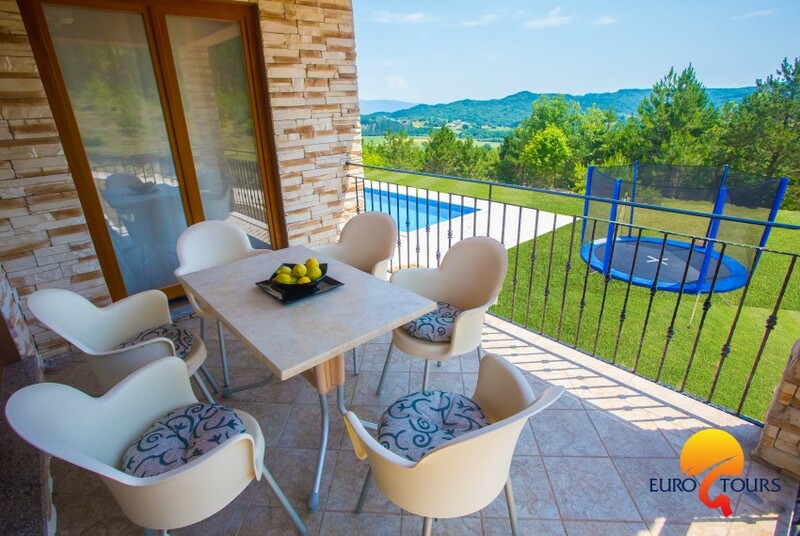 The villa is fully air-conditioned and offers parking for 3 cars. 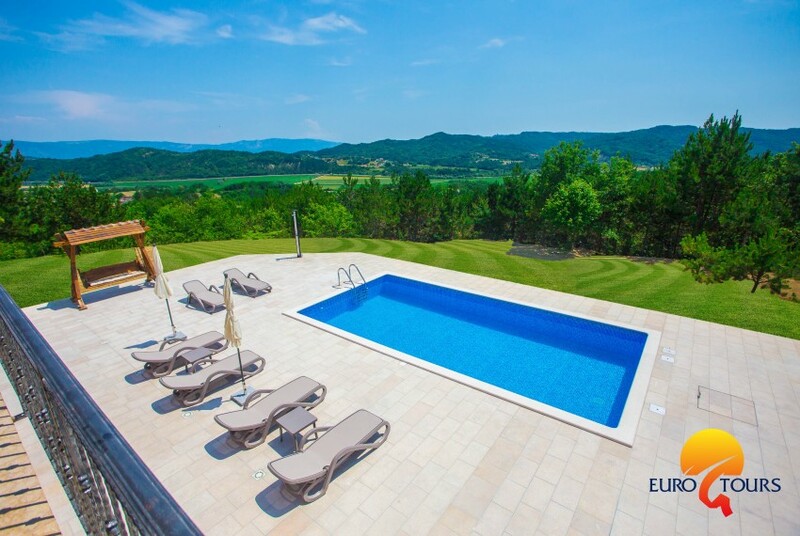 If you are planning a relaxing holiday in luxury, this is the place for you. 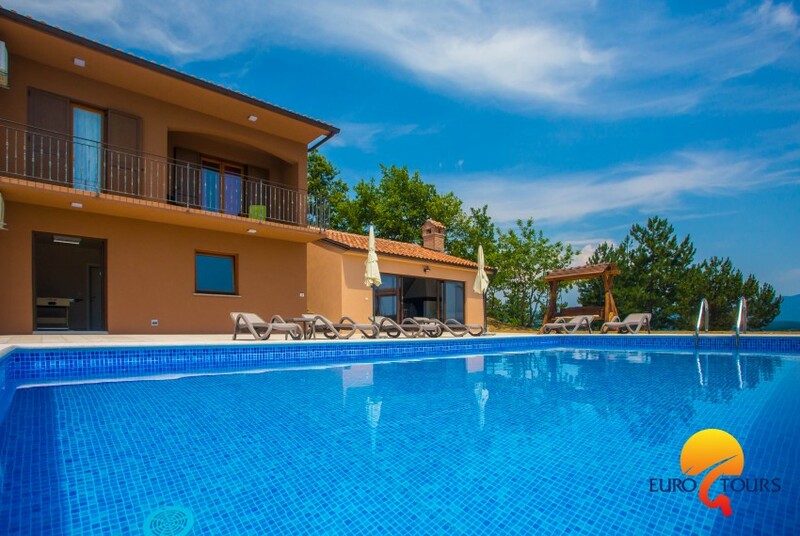 Villa Mirna is a beautiful and modern villa with pool in village Pazinski Novaki in Istria. 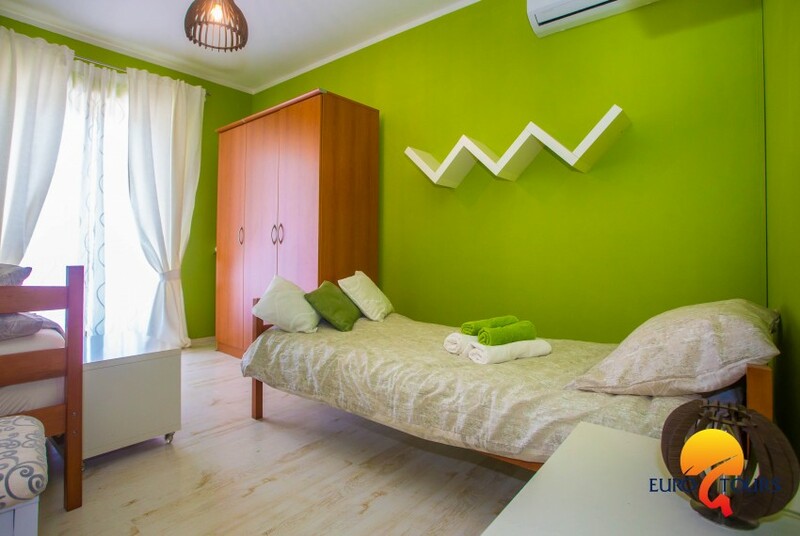 It is modern and comfortable furnished. 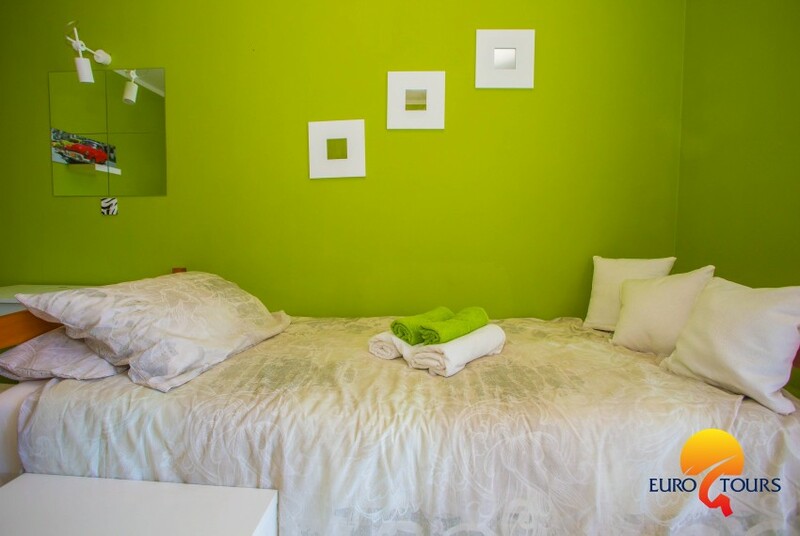 Thanks to its ideal position offers you a memorable and relaxing holiday. 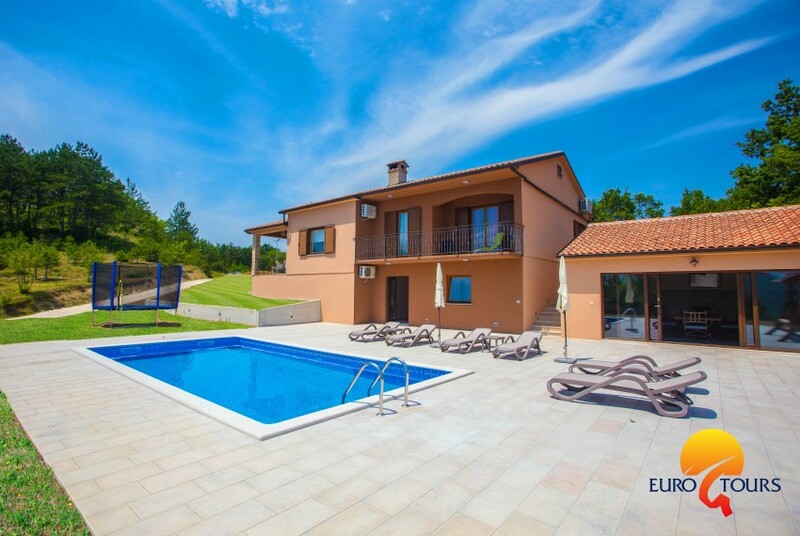 Villa Mirna in Pazinski Novaki near Pazin is an ideal choice for a quiet holiday in idyllic Istrian environment. 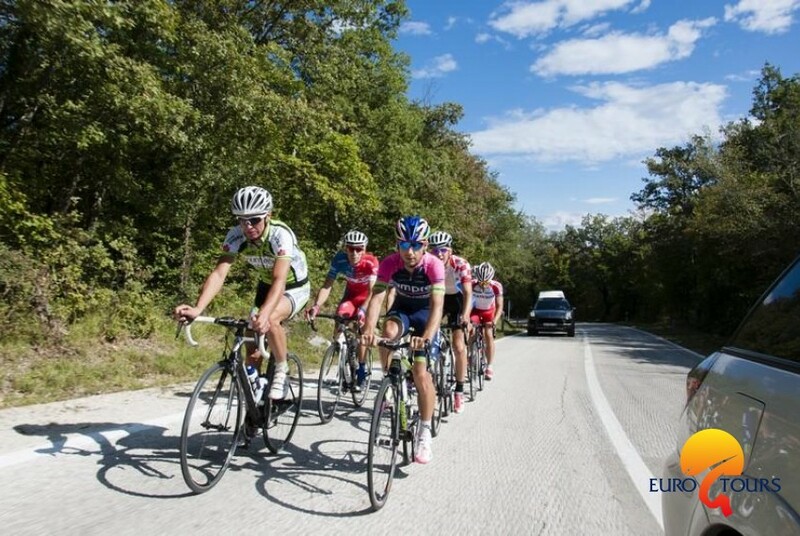 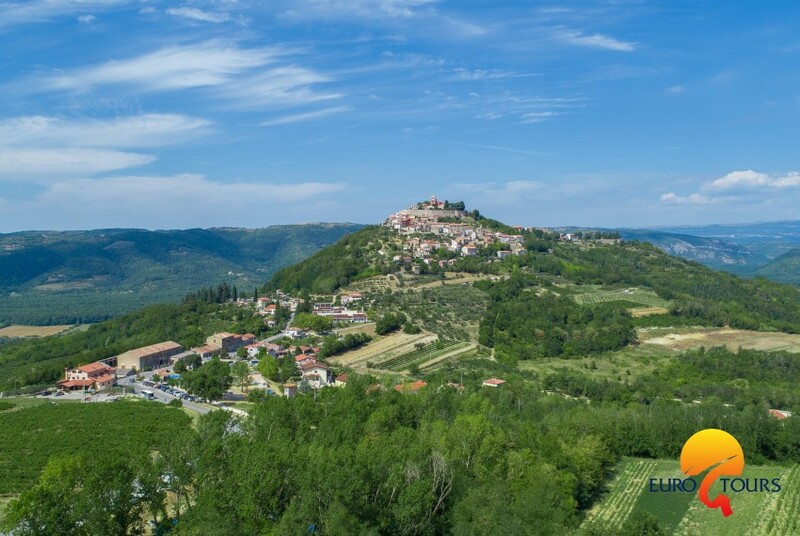 Nearby are many marked bicycle routes that connect historic and picturesque Istrian towns like Cerovlje, Gologorica, Gračišće, Draguć and Motovun. 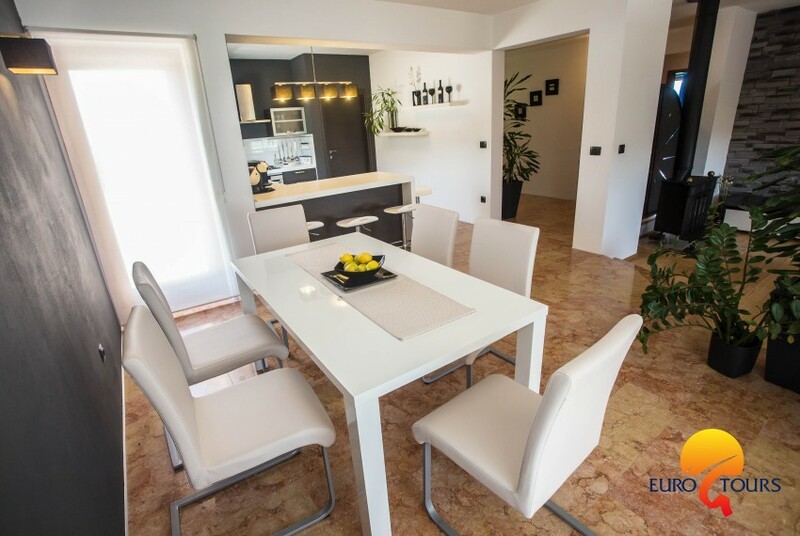 In just 45 minutes driving by car you will reach a number of beaches, natural parks and resorts. 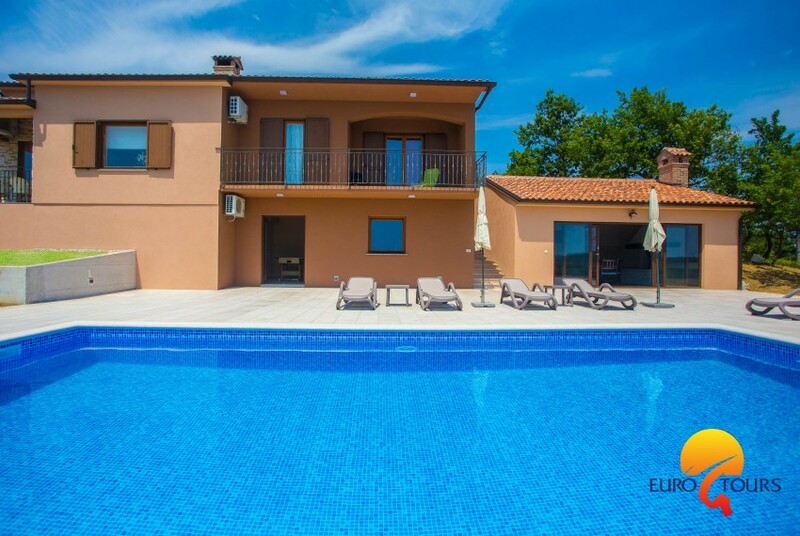 ( Opatija, Rabac , Rovinj or Poreč ) Private pool in a beautifully landscaped garden in front of the house allows you, at any time refreshment in the crystal clear water. 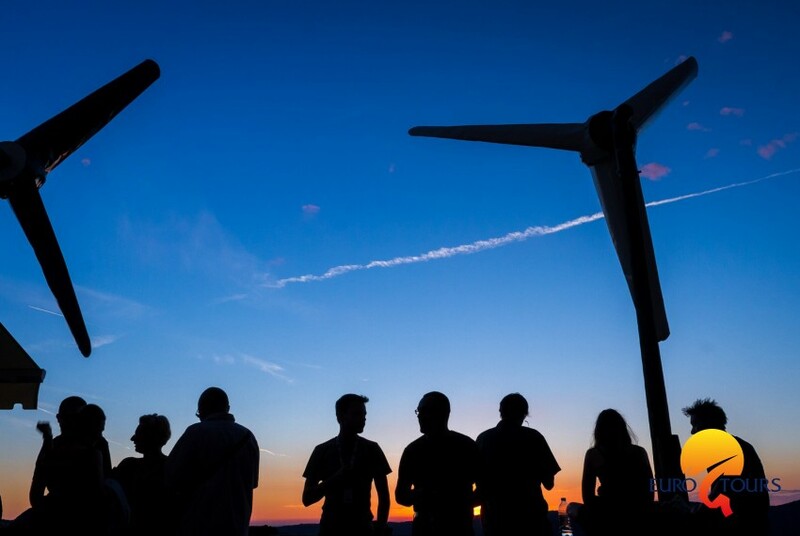 Wunderschöne Unterkunft - uns hat es an nichts gefehlt!